Dr Diran Fawibe is the Chief Executive Officer, International Energy Services (IES). 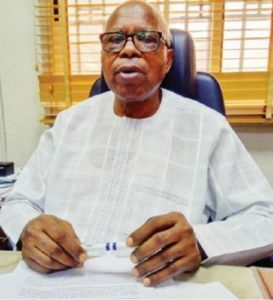 In this interview, Fawibe explains why crude oil drilling in the North is necessary; why it has been difficult for promoters of modular refineries to see their dream come true; the need for the Federal Government to expedite action on the Petroleum Industry Bill (PIB) and other knotty issues in the nation’s oil and gas sector. Nigeria presently is concerned about removal of subsidy on petroleum prices. This issue in its inchoate state should be predicated on national policy on energy security and supply in the quest for rapid economic growth and industrialization, as well as meet social development of the country. Despite the optimism of some stakeholders, crude oil prices remain low in the international market, thereby constituting a serious single threat to major producers, especially Nigeria. In this interview with UDEME AKPAN, the Chairman of International Energy Services Limited, Dr. Diran Fawibe made a strong case for the diversification of the nation’s economy. IESL/HHI ‘Ship Building & Repair’ Trainees to conclude stage 1 of training program. The trainees on the IESL/HHI 3-month long ‘Ship Building & Repair’ training program are already counting down to the end of the first stage of this program. As part of activities closing out this program, the team would be on an industrial tour of the Nigerdock ship yard, Apapa on July 2nd, 2014 and would be addressed by a high-ranking staff of Maritime Academy of Nigeria on career prospects on July 3rd, 2014. IESL joins forces with Worley Parson for the biggest Engineering project in Nigeria. Samsung Heavy Industries (SHI) has awarded WorleyParsons a contract for the detailed design and engineering for the topsides process modules of the FPSO vessel for a deep-water oil field located offshore Nigeria.